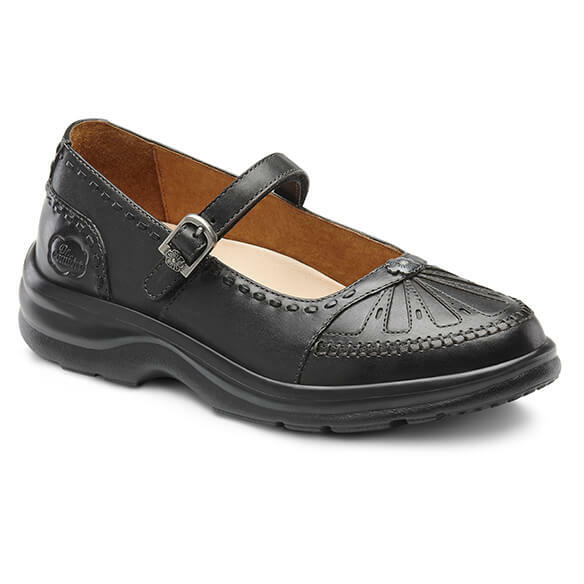 Treat feet to paradise with this richly detailed Dr. Comfort® Paradise Women's Merry Jane Shoe. It combines classic style with luxurious quality — perfect for any occasion from casual to formal. 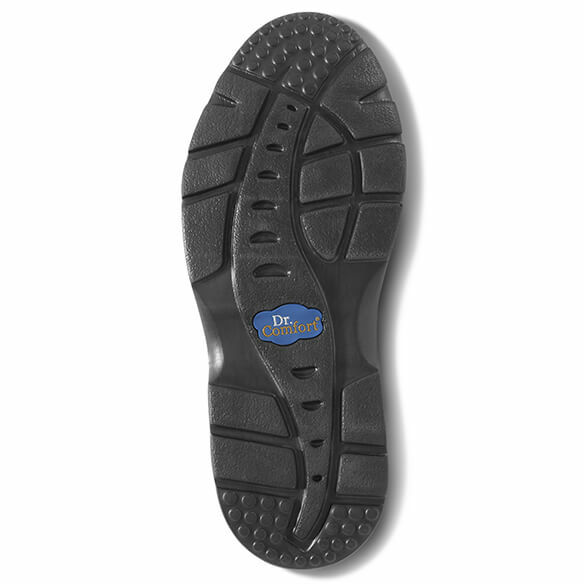 Features supportive insole and non-slip outsole. 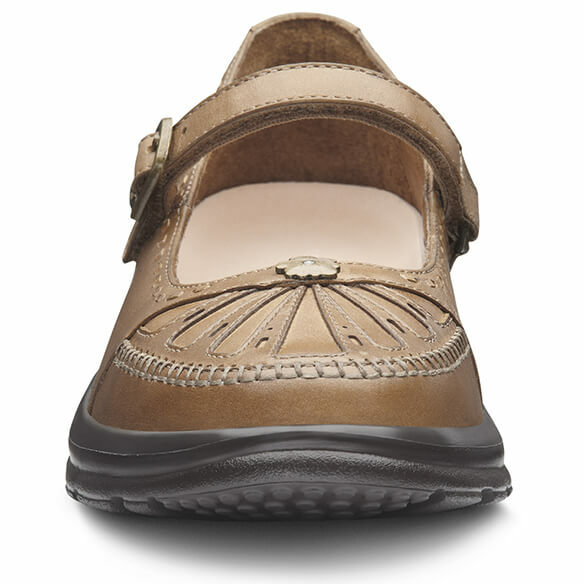 Features discreet lateral side gussets and a hook-and-loop strap for a comfortable fit. 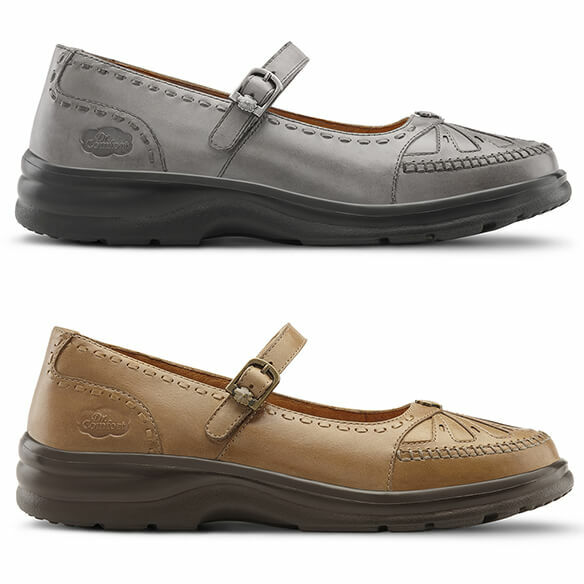 Choose from black, pewter or saddle tan. 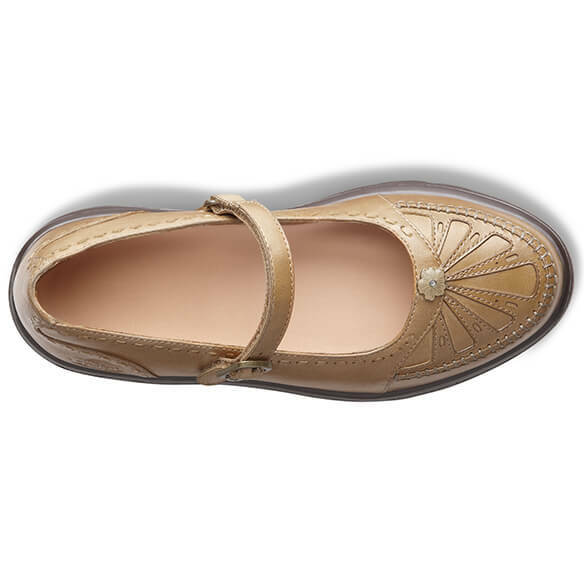 I like Easy comforts products, and I like this style of shoe. BEST ANSWER: Thank you for your question. Yes is has arch support. We hope this information will be of help to you. how high is heel height? BEST ANSWER: Thank you for your question. The heel is 2" high. We hope this information will be of help to you.